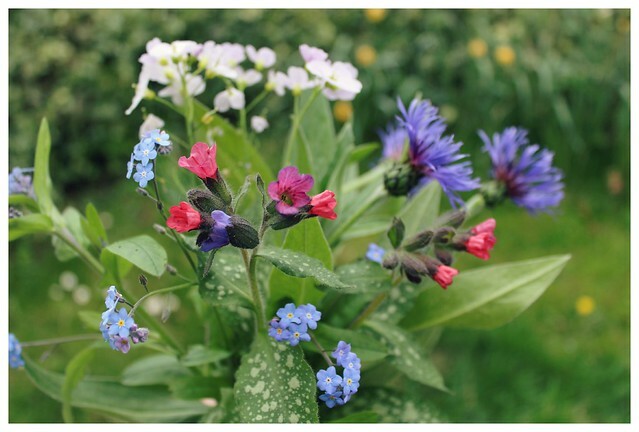 This is May's freely growing offering from my garden, I know I'm very lucky to have these out there. The park is another space, enjoyable in a different way. A whole lot of planning happens here. 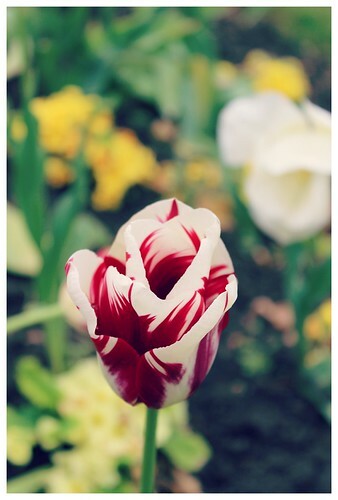 I do like their choice of Tulips. 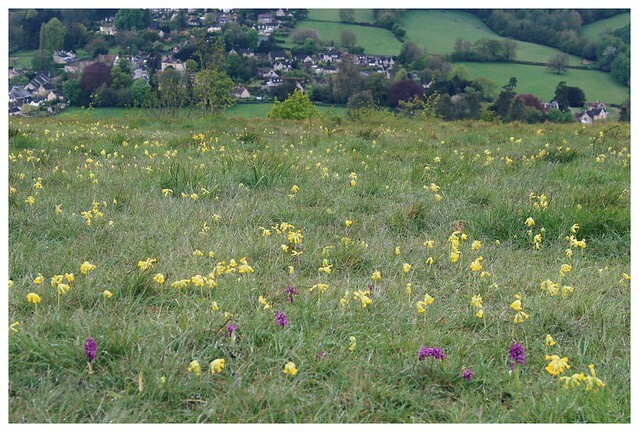 On the common the Cowslips are doing their happy dance. Seeing them in the sunlight makes your spirits soar! I always think it feels like the earth is wearing it's big flowery shirt. 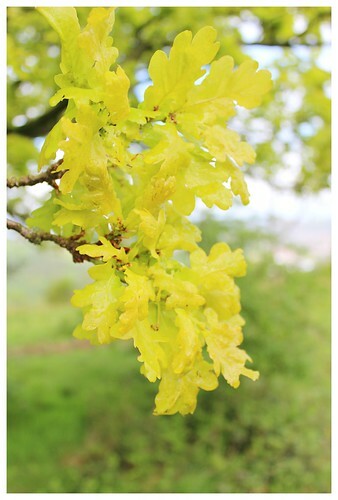 The day I got rained on, I managed to catch these very fresh oak leaves, I noticed how quickly they changed colour. 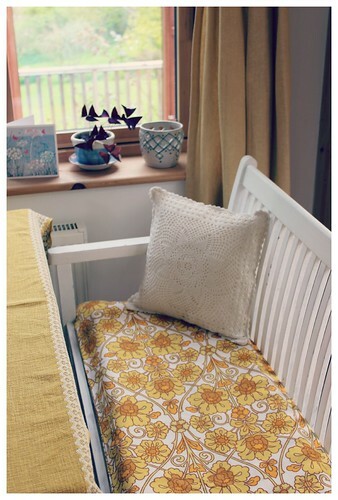 At home I turned this already tube shaped piece of yellow floral fabric into a seat cover. It was very easy. I think someone else had done the same thing! 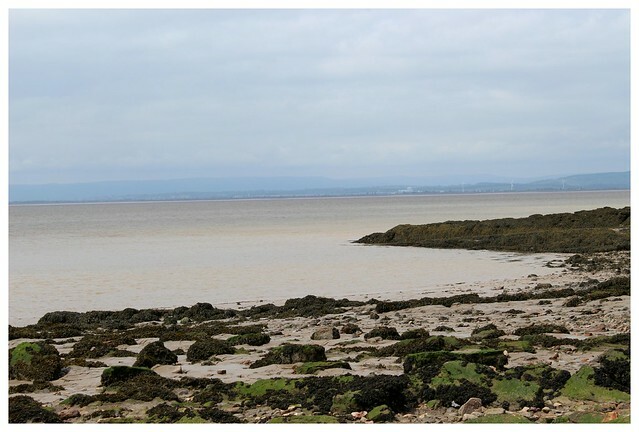 There was a little jaunt to a new to me place by the river at Portishead, while the teen played airsoft. 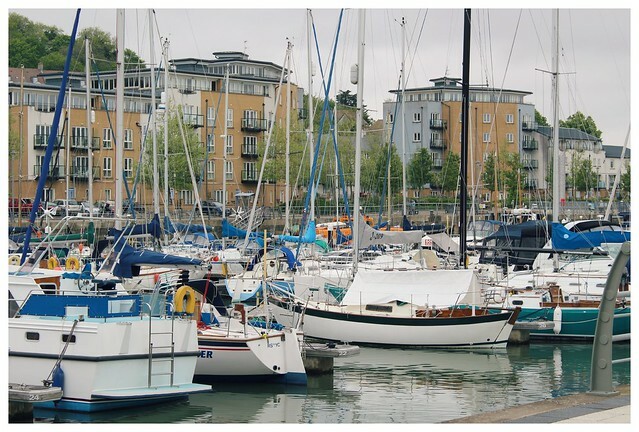 It's the river estuary at Bristol, I had several hours to explore and wander. This may become a regular two weekly thing so I'm not complaining. I had a good wander around the harbour and watched the lifeboat doing it's maneuvers. I found glass on the beach too. I was very happy about that! Lots of it and quite big pieces, not very worn. I think from the more modern day drunken sailors to be honest. A camper van would have been nice to pull up on the beach front and hang out for the day. I noticed a few folks doing this, especially nice in cooler weather. One day! Back at home this Wild garlic growing in the woods is always a show stopper. I always forget and then come along to find it. So lovely with the bright green canopy. The Beech leaves seem to green up last. So this has been my week. I've spent a lot of time thinking about this space here and what I want to with it. Also the idea of a creative business and how that might fit in with my life. A lot of research has been done about how people do that and what needs to be done, more officially than unofficially. It's actually left me feeling pretty frustrated with the labeling and brackets we seem to need to operate from in our lives, more so when we have families to consider. It's easy to discover how the bracket we want to be in doesn't exist, at least not as part of the system. Overall I'm suddenly becoming aware of the ways that we do actually limit ourselves. It usually seems like the only thing to do, or even the right thing to do, but it still places us in a limiting situation ultimately. Where our life stays the same to meet that criteria. It doesn't open us to the full possibility. I feel there are probably people everywhere this is happening to, even if they are not aware of it. Perhaps this is what happens in a society. It places them in a group, which is not without it's support and help of course. But it just becomes difficult to let go of that and move into a new way. It's a curious thing and like I say I've just began to notice how many ways it happens, even in our speech and assumptions we make about ourselves. This may be the beginning of a life evaluation! I guess I feel the pull to move forwards but don't really know how to, just yet. I've been noticing similar things Heather both in nature and in my life. 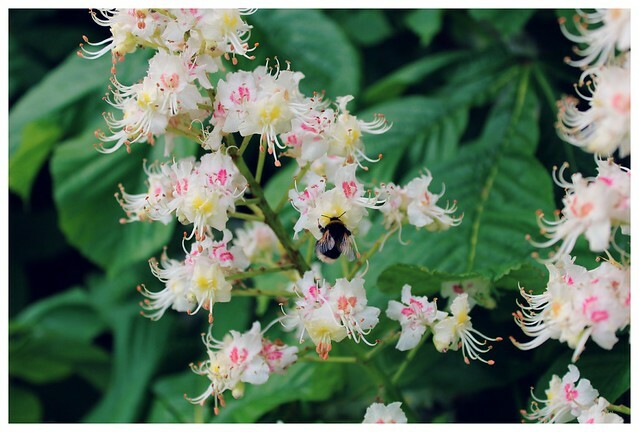 I love the horse chestnut flowering photo - I haven't managed to take a successful photo of one yet. I'll keep trying! I wish you lots of luck with the changes you have ahead. I have no advice, but it sounds like you're doing your research. 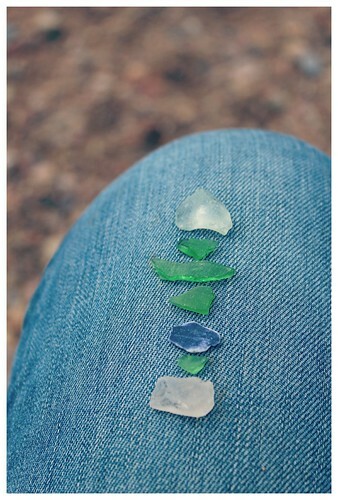 Your photos are lovely, I enjoyed the sea glass too. Heather, do continue your reflections and investigations. I like to think that curiosity is a good trait. We all do pass through various stages in our lives, some are thrust upon us, some we choose, some might result from an identifyable catalyst, some seem to arrive from out of nowhere. Perhaps all this sort of movement is at the heart of evolution? The weekend sounds enchanting, hope you manage to find your way and make it happen. Wonderful photos from your week. That wild garlic is amazing! Beautiful photographs. I've had similar thoughts, especially with reaching a milestone birthday. 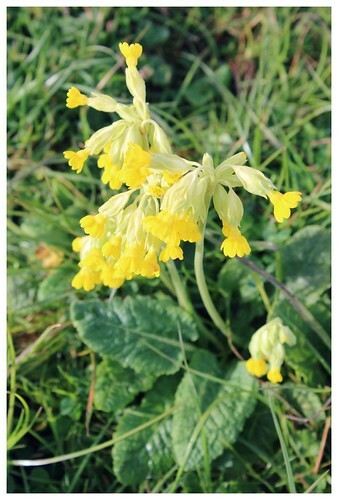 I just looked at Bloglovin' and the top 3 posts were: 'feeling determined to change' 'unlock your wish' and '7 reasons it's time to move on and embrace change' - haha! 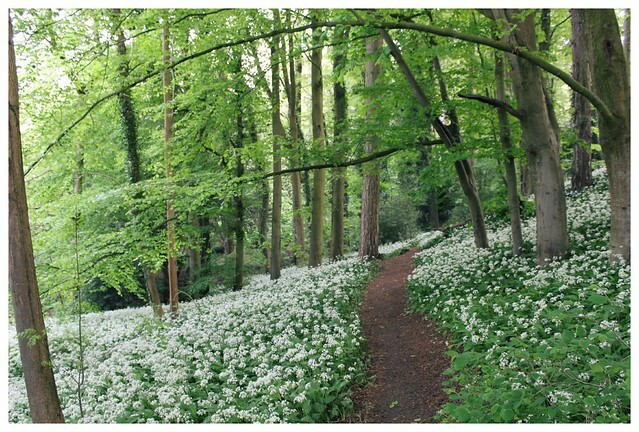 I can practically smell that wild garlic! I am definitely in the middle of a life re-evaluation and have realised that I need to think more about myself and less about others ... that may sound mean but I'll go under if I don't. As you say, other people's ideas about who we are and what we do can be very limiting, especially when if one starts to assimilate them. I agree with Annie - I've been giving an awful lot of myself lately and have reached the brink of burnout. Some re-evaluating is going on here too. Hope things begin to make sense for you and you find your path.